Gas prices in the United States fluctuate for many reasons. Prices can vary based on relative location, distance from interest points, general demand for fuel, to the current political climate. Even if you stop at the gas station with the only goal of filling up your tank, you might be tempted to fill up on a little bit more than that. There are many ways we might find ourselves spending more on gas and other factors, if we are not careful with our habits. Let us begin by suggesting a few different alternatives to the process that could not only help your wallet, but help you as a driver. Steady Drivers Save: Whether you’re on the highway or driving through suburbia, decreasing your speed could save your money and life. Driving fast increases drag in your vehicle which in-turn increases fuels consumption. A slow and smooth accelerating pace will use gas more efficiently, leading your trips to the gas station to dwindle, as will how much you spend. Braking: braking excessively, whether tapping repeatedly or slamming on them, will wear out your brake pads as well as waste a heap of gasoline. Keeping a safe distances between you and the vehicle ahead of you can reduce the amount of times you break at during a trip, efficiently saving you gas. Idle Engine: turning on and off the engine repeatedly is a waste, but a bigger waste can be an idle engine. If you know you’re going to be waiting outside for a friend or loved one, or at lengthy stop (think standstill traffic or railroad crossing) turn off the engine—just make sure to be safe. Upkeep and Maintenance: though monitoring your vehicle’s functions may not explicitly involve your habits as a driver, a well-versed mechanic can tell you what you’re possibly doing wrong behind the wheel. Monitoring your tires, changing your filers, using the right oil or having that check performed routinely, and turning off the air conditioning could all lead your vehicle to working more efficiently and thus, saving money on gas, as well as for maintenance. Purchasing your gas is how many of us tend to spend our time and money at a gas station, if that isn’t obvious. But, believe it or not, there are ways to cut down your initial estimate before arriving. Time of Purchase: Try to fill up early in the week, and especially before holiday weekends. Also, earlier or later in the day—when it’s cool outside—the gas that is purchased tends to be much denser than when it’s warm outside, allowing you to pump a little bit more. 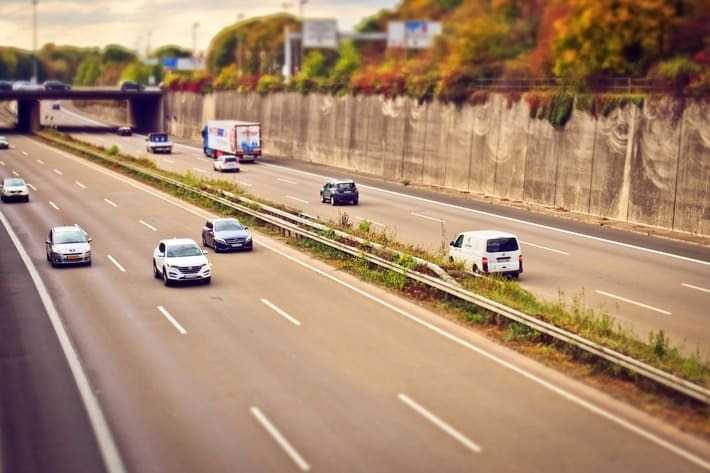 Avoid Stations Near Highways: stopping at a gas station near the highway during a trip seems like a no-brainer, but if you can afford a few extra minutes of your time, try to visit an outlying station near the town from the exit sign. Gasoline near highways tends to sky-rocket in price, since most customers are trying to avoid a long stop while traveling to their destination. Don’t Wait Until Your Take Is On Empty: If you wait until you’re on “E” and can’t find an ideal gas station nearby, you may pay 10 to 20 cents more per gallon or worse: run out of gas. This may be where many Americans end up hurting their bank account when purchasing gas: the mini mart and snacks. Yes, most gas stations have gratuitous amounts of snacks and supplies that are ready to be consumed and used, but do you really need them? There’s an obvious difference between “wants” and “needs” and when you’re on a long trip, boredom can lead to hunger which can lead to spending unnecessary money. The gas station may seem like an oasis in the desert of endless paved highways, but the way gas stations operate-you could end up spending double the price for a bag of chips half the size. Supply for your trip before you leave for your destination or try to keep an eye out for a grocery store when stopping. Gas station coffee and hot dogs may be cheap, but the majority of other products tend to be much more expensive. To avoid wasting too much time and money, just go without it- or stop at a local grocer. If you’re a city-dweller, you’re more than aware that, not only are gas prices expensive—sometimes a full dollar more–but stations are scarce. Stocking up on gas by visiting a nearby suburb with a few canisters could be beneficial if it’s possible, but in all honestly, off-loading your vehicle or using it sparsely in favor of public transportation might be your best bet to save a dollar. Everyone knows what a pain it is to purchase gas in this country, but never get yourself into any trouble venturing for fuel. Your safety is the most important thing when driving, first and foremost. Do not stop in scarcely populated areas at night that are horror-movie worthy, even if the gas is cheaper. Stay safe and hopefully you use these tips to save a pretty penny on gasoline.